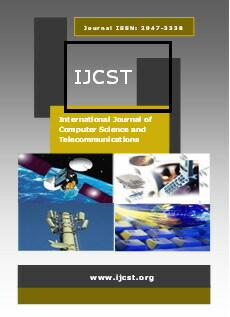 Abstract — Research on Sensors is one of the major topics in computer and electronic fields. They used to monitor and control the physical environment such as buildings, forests and battlefields. According to these applications, sensors are expected to be functional for a long period of time. Since the sensor networks include many low cost and low power sensor nodes, a great effort is devoted to develop new protocols that use these limited resources efficiently. In this way, routing protocols play the key role to enhance the network parameters. In this paper, we classify the routing mechanisms into four categories. This classification consists of flat, hierarchical, QoS and geographic routing protocols. Moreover, each class can employ multi-path technique to decrease end-to-end delay and increase network lifetime. We categorize different multi-path strategies into link-disjoint and node-disjoint mechanisms and discuss them in details. This paper covers a variety of famous protocols, which motivate potential ideas for future works. We finally present a comprehensive comparison among various routing protocols. Abstract — A biometric system provides automatic identification of an individual based on a unique feature or characteristic possessed by the individual. Iris recognition is regarded as the most reliable and accurate biometric identification system available. An approach for accurate Biometric Recognition and identification of Human Iris Patterns using Neural Network has been illustrated in . The same authors tried by reducing the size of the templates from 20 X 480 to 10 X 480 and concluded that this resulted in saving of computation effort with no loss in accuracy. In this paper, based on the accurate methodology [10[, we extend the work for optimization for Iris Patterns recognition using various neural training model algorithms. The results from the neural models trained by Levenberg– Marquardt algorithm is found to provide accuracy in recognition better than the methods presented in the literature. Abstract — Android mobile operating system which is based on Linux Kernel 2.6, has open source license and adaptability to user driven applications. As all other operating systems it has all the basic features like process scheduling, memory management, process management etc associated with it. Any mobile platform works smoothly when the process scheduling is performed in a proper way. Ideal platform is that in which no resource conflict occurs. Thus scheduling in every manner is essential for the operating system to adapt itself with the requirement of a particular application. In this paper, priority based pre-emptive task scheduling is proposed for the SMS application. The idea is to define High priority to required contacts, for ex. Contact numbers of parents or teachers will be given High priority. If in case, any SMS from these High priority contacts is received, the application would flash the SMS on the active screen and redirect this High priority SMS to the Priority Inbox. Abstract — Analysis and interpretation of an image which was acquired by a non ideal imaging system is the key problem in many application areas. The observed image is usually corrupted by blurring, spatial degradations, and random noise. In this paper, we propose an alternative approach. We derive the features for image representation which are invariant with respect to blur regardless of the degradation point spread function (PSF) provided that it is centrally symmetric. Methods to obtain blur invariants which are invariants with respect to centrally symmetric blur are based on geometric moments or complex moments, orthogonal legendre moments. The performance of the proposed descriptors is evaluated with various point-spread functions and different image noises. The comparison of the different approaches with previous methods in terms of pattern recognition accuracy is also provided. Abstract — One of the severe attacks on routing protocols is so-called wormhole attack in which two or more malicious nodes receive packets at one point of the network and transmit them to another location by a wired or wireless tunnel. The wormhole is so powerful and detection of it is difficult. This attack can form a serious threat in wireless networks, especially against many wireless ad-hoc networks and location-based wireless security systems. There is several wormhole detection methods in the wireless ad-hoc networks which some of them are reviewed in this paper. Also, we suggest a new method to detect wormhole on geographic routing protocol based on hop-count and authentication technic in order to enhance the previous work on BSR routing protocol. Finally, a qualitative comparison among all methods is provided. Abstract — Web Application systems are widely used in various fields for security reliability purpose the users are required to use user id and password to logging. We use a global identifier user name and password in several systems is difficult. So many approaches are proposed to implement the problem, among those single sign-on (SSO) is the most popular technique. Using this, client can log in only once to get access to all other servers without log in again. We used a single sign-on assistant called SSOA for web application is an authentication server broker. If the user visit the web application system using the explorer or Google chrome, SSOA validate the user id and password. SSOA distills HTTP POST data, HTTP header used for login, reference address and authorization URI, and then constructs HTTP POST compatible data used for validation. After the validation by the SSOA the user can use the other applications and resources registered in SSOA. With which we would solve uniform identity authentication among heterogeneous systems attaining simplicity, reliable and relatively no risk and low cost. Abstract — The major problem of network security in present years is DoS (Denial of Service) attacks, in order to protect the network from these attacks a research is implemented in the key streams of network security. Packet marking is always required to track few details of packet like its source and the status toward reaching the destination. In most of the cases, packets transmitted by a source are lost or data in it is corrupted and may lose the packets permanently. A perfect packet marking algorithm is always required to mark the packet by the IP address of source and the current routers traversed by it. We suggest not marking each and every packet with equivalent probability; instead the marking probability is computed for the purpose of every packet by all the routers depending on field value of TTL (Time to Live). Abstract — Book distribution is one of the main parts in the cycle of book trade. If we want to solve some problems like accumulation the books in the shelves for a long time, we should have a powerful distribution system for books among bookstores. In developed countries, they use technology based on booksellers’ needs and growth the rate of their outcome. These systems can be inspiration for the developing countries without such systems. To achieve this goal, our studies divided in 3 main parts. First, evaluating some online systems and considering their features. Second, gathering and studying the opinions of booksellers as informants about their expectation of this system in Iran as one of the developing countries. Third, suggest an online system by attention to their worried about security of the same systems. It can be helpful for them to meet their customer’s needs, promote their stores and get outcome more and more. Abstract — Search engine logs are emerging new type of data user profiling component of any personalization interesting opportunities for data mining. Early user profiling work on mining data mostly attempted to discover knowledge at the level of queries based on objects that users are interested in positive preferences but not the objects in negative preferences. In our paper we focus on search engine logs for patterns at the level of terms and develop many concept user profiling methods that are positive preference and negative preference. We shows that our proposed system in data mining techniques how the search engine works in query process, index process and also comparing the existing system with effective mining association search engine logs. Abstract — The communication channel in Mobile Adhoc Networks is shared among the nodes in the network and the MAC layer plays an important role. Many attackers try to affect the features of Physical, Network or MAC layers. Also the dynamic nature of the Mobile Adhoc Networks and the lack of centralized control demand an intrusion detection system suitable for the MAC layer. In this paper, we propose an Intelligent Distributed Reputation based Mobile Intrusion Detection System, to detect the malicious node so as to improve the system throughput. Abstract — This paper presents a new approach for classification of ECG Signals. Wavelet coefficients are calculated for QRS complex extracted and these are considered as features. These features have been reduced to feature set by factor analysis procedure using Maximum Likelihood method. The classification has been done by LDA (Linear Discriminant Analysis. The results are compared for different analysis procedure options i.e., Norotation, varimaxrotation, quartimax rotation and equimaxrotation. The signals are taken from MIT-BIH arrhythmia database to classify into Normal, PVC, Paced, LBBB and RBBB. The performance of classification output has been compared by the performance parameters. Abstract — Dynamic resource management has been a hot spot in recent years. As the applications like distributed real-time and embedded system can be benefited from dynamic management of computing resources and networking resources by optimizing, reconfiguring system resources and distributing critical applications over real time communication network at runtime in response to the changing situations. These types of applications typically consist of a set of tasks executing on different hosts, exchanging messages over high speed network. In distributed environment, management of resources both computing and networking, resource allocation and resource utilization are the most crucial problem. In this paper, an extensive review has been made on these architecture, methods and techniques for the verity of applications that exhibit adaptive and dynamic approach. All the techniques are classified and analyzed in detail.